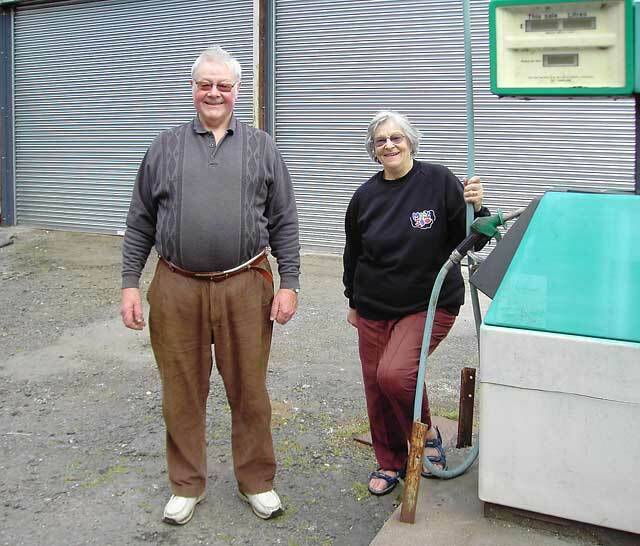 Thank you to Jim Campbell for sending me this photograph of Tommy & Margaret Douglas who ran this petrol station at Burrell Street, Comrie, Perthshire from the 1970s until 4 July 2008. This is one of a series of petrol stations that I photographed around Scotland in the 1980s. Thank you to Jim Campbell for recognising this photo of the petrol station on the EdinPhoto web site, and taking another photograph of it in July 2008.